Selling Highlands NC real estate can benefit form a welcoming front porch. A front porch can be a wonderful place to sit at any time of day. The front porch is also a home’s calling card. If your Highlands NC home for sale has a front porch take the time to stage it. How do you stage a front porch? Let us count the ways. First start with the decking. If the flooring of the porch is wood make sure it is in good shape. If boards need to replace then replace them. Likewise, if the wood needs staining or painting make sure you attend to this. An outside rug might suit the space as well. A great next place to start would be with seating. Depending upon the size of your front porch choose seating that compliments the space. It is also important to offer a comfortable place to sit. From here you can focus on lighting, the ceiling, flowers or plants, and perhaps some additional furniture. You want the front porch of your Highlands NC home to shout “you are home now!” The more inviting the porch the more likely a buyer will want to walk through the front door. Successful selling requires efforts in preparation. While it comes without saying that you will focus on the inside you will also want to attend to outside curb appeal. 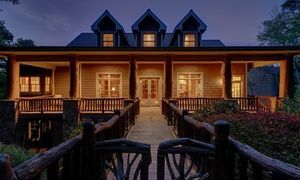 Contact our team at Berkshire Hathaway HomeServices Meadows Mountain Realty today to learn more about homes in Highlands NC. We welcome the opportunity update you on the market while sharing a complimentary listing presentation at the same time. We welcome the opportunity to help you with selling Highlands NC real estate. Click here to read “5 Ways to Make a Front Porch Summon Buyers” from REALTOR Magazine.